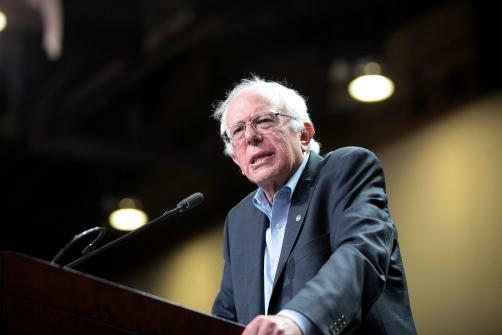 US Senator Bernie Sanders has called on regulators to allow pharmacies and manufacturers to distribute generic versions of Catalyst Pharmaceuticals’ Firdapse, a drug used to treat the rare neuromuscular disease Lambert-Eaton Myasthenic Syndrome (LEMS). Catalyst Pharmaceuticals attracted the attention of the presidential candidate last month after Sanders called on the firm to justify their decision to charge $375,000 a year for the drug which was once available for free. Catalyst received FDA approval to sell the drug in November last year after patients had had access to the treatment through a programme which offers experimental drugs for free. Having previously been manufactured and supplied free of charge by Jacobus Pharmaceuticals on a compassionate use basis, Catalyst were granted market exclusivity for several years under rules for drugs for rare diseases. However, with market exclusivity Catalyst announced in December that the drug would cost $375,000 a year. LEMS affects around 100,000 people in the United States. Share in Catalyst dropped by nearly 10% after Sanders sent his letter to FDA commissioner Scott Gottlieb urging him to allow the distribution of the drug on a free or low cost basis.